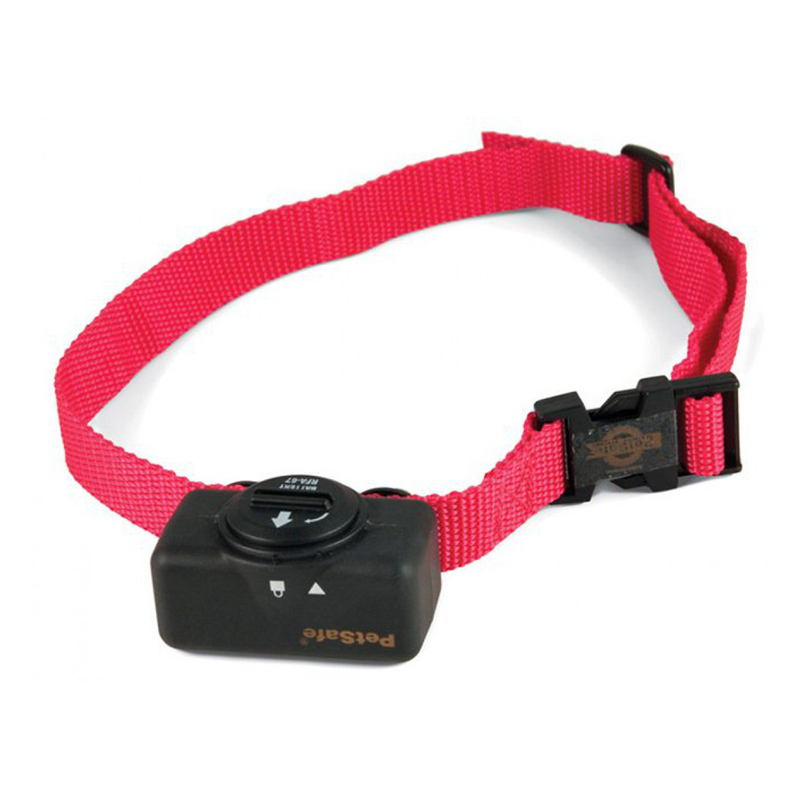 The PetSafe Standard Bark Control Collar automatically and consistently corrects excessive barking in dogs. When the vibration of your dog's bark triggers the sensor probe, a safe but annoying static stimulation is administered through the contact points. The Bark Control Collar starts with the lowest level of stimulation and then increases through 6 levels each time your dog barks within 30 seconds of the previous bark. If your dog does not bark again within 30 seconds, the Bark Control Collar resets itself to the lowest level of stimulation. Along with each static stimulation, there will be an audible beep. For safety, the Bark Control Collar shuts off for 3 minutes if your dog barks 15 times or more within 50 seconds.